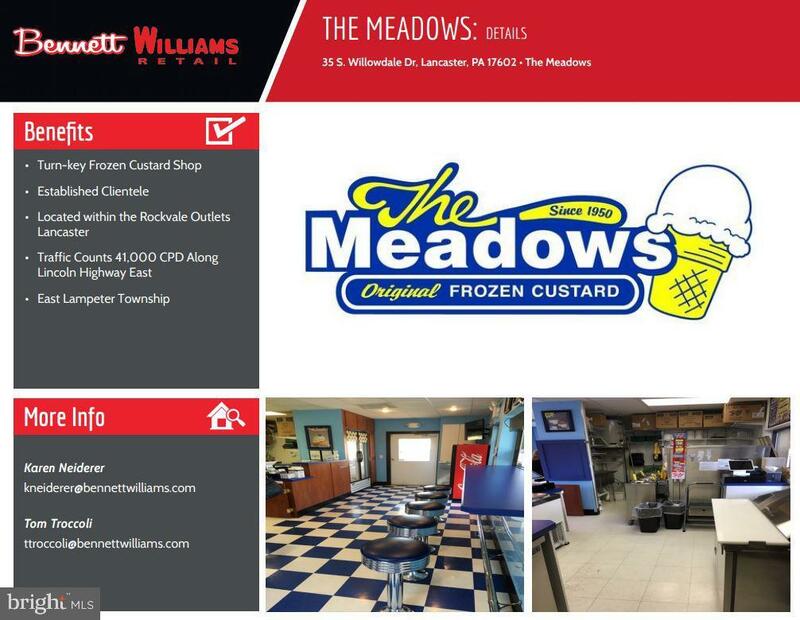 Turn-key frozen custard shop with established clients. 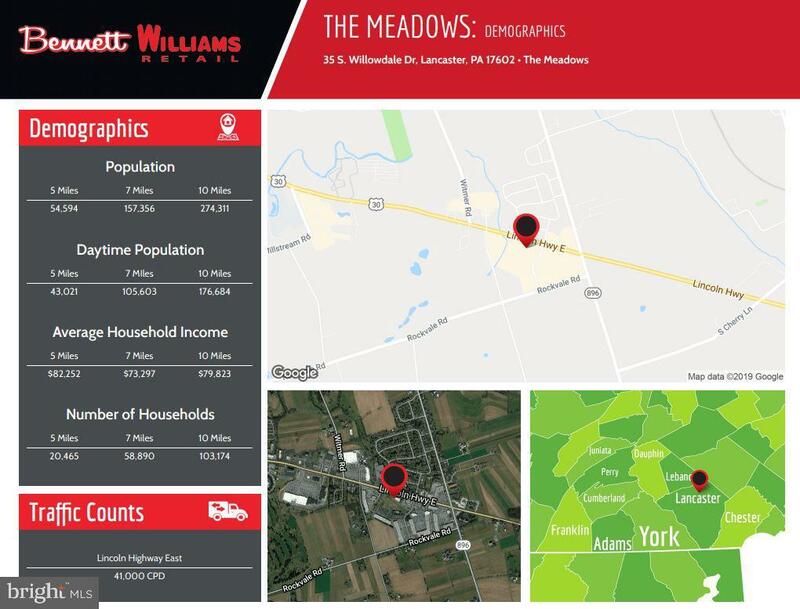 Located within the Rockvale Outlets in Lancaster in a single, free standing building. Traffic counts are 41,000 CPD along the busy Lincoln Highway east. 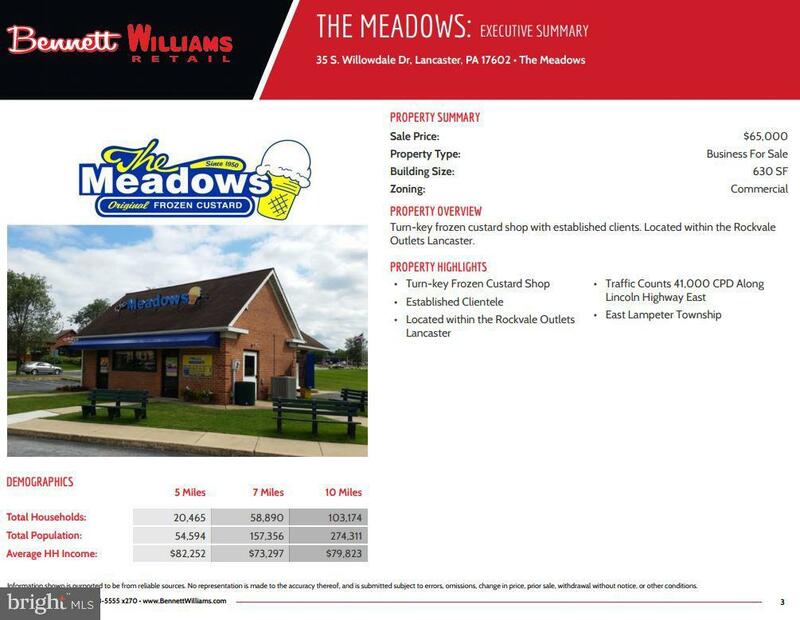 Business only, no real estate included. 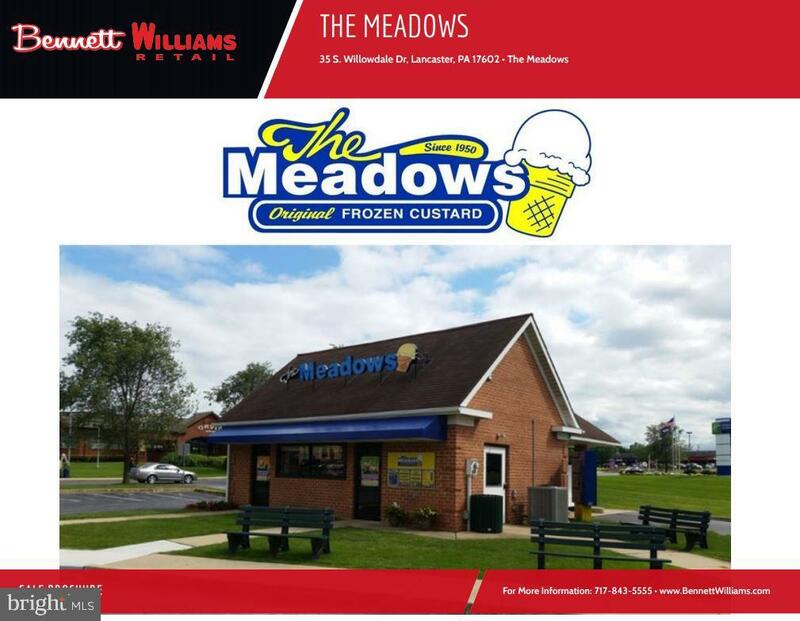 located in East Lampeter Township.